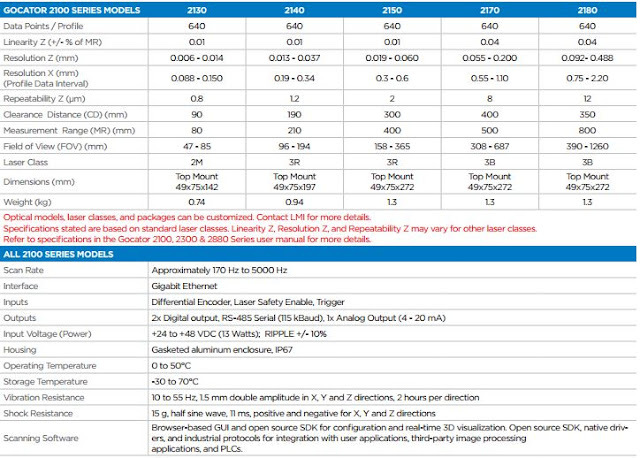 The Gocator 2100 Series: An All-In-One Solution! The Gocator 2100 series is an all-in-one solution that empowers factories to improve efficiency in product validation at a fraction of the cost of other sophisticated scanning solutions. With all the advanced functionality of the 2300 series for a lower price, Gocator 2100 series is the ideal value-buy 3D smart sensor for entry level users. Providing the same measurement tools and output support available in high-end sensors, Gocator 2100 series systems can easily scale up to larger systems or higher resolutions. Gocator 2100 series handles complicated inspection tasks with a comprehensive set of 2D and 3D measurement functions and the ability to compensate for transport system and part-to-part variation. 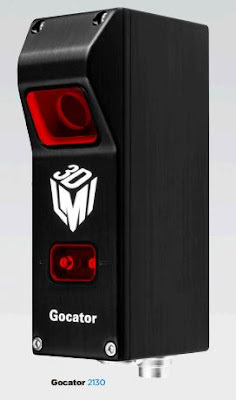 Like all Gocator sensors, the 2100 is pre-calibrated and comes in a robust IP67 industrial and compact housing. It has rich I/O, is fully controllable via open source SDK, and provides comprehensive support for multi-sensor networking.